Teacher Resource for From Generation to Generation: Inherited Memory and Contemporary Art, on view Nov 26, 2016–Apr 2, 2017 at The Contemporary Jewish Museum, San Francisco. This exhibition guide, intended for educators or anyone interested in exploring the themes and ideas of From Generation to Generation: Inherited Memory and Contemporary Art, may be used before or after a visit to The Contemporary Jewish Museum (The CJM), or as a stand-alone resource for teaching. This guide provides ideas and resources for using works of art in From Generation to Generation as tools for teaching about history, memory, and empathy. From Generation to Generation examines memory, sometimes personal, but more often collective or historic, through the lens of art. 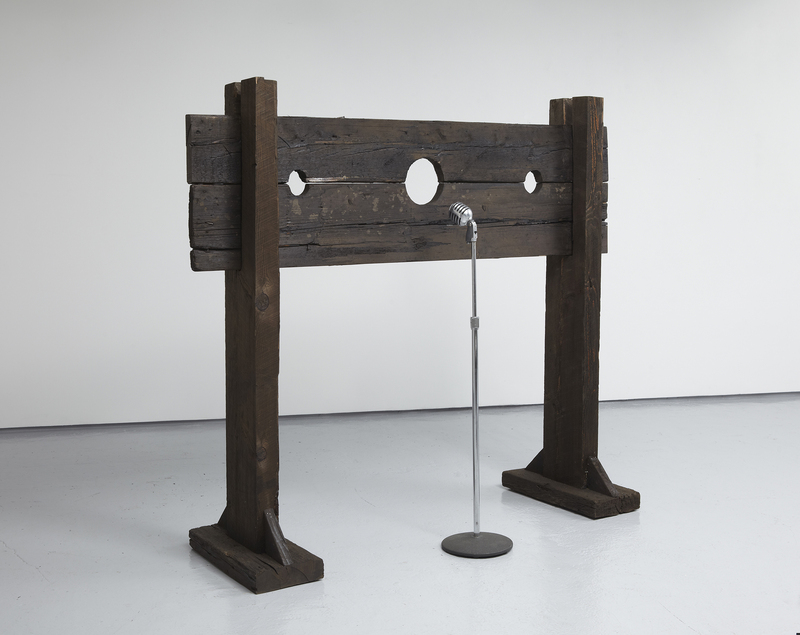 The artists invite us into their worlds, urging us to make connections between past and present, to consider the changing nature of history and memory, and to reflect on how and why certain memories are handed down from generation to generation In our current world context, the exhibition has a new urgency. These works of art, created by twenty-four artists from around the world, are in conversation with one another in the gallery—a conversation that crosses the lines of nation, culture, and religion It is easy to walk through and see what these artists and artworks have in common—overcoming trauma, surviving war, fighting for justice, and that we, no matter where we come from, have memories that have been handed down to us Through these personal, human, memory-based reflections on history, we as viewers are able to develop empathy and new understandings of the time periods on which they reflect. We need more empathy, understanding, and dialogue in today’s world. Yet more importantly, the exhibition implies that we also have an obligation when we inherit someone’s memories. What do we do with these stories from the past, and how will we use them to guide our way to the future? Memory can take many forms: memories of events we have experienced, memories we have heard about as family stories, memories seen through images in popular culture, or even memories of an imagined world. The twenty-four artists in From Generation to Generation: Inherited Memory and Contemporary Art work with memories that are not their own. They remember and recall stories that were never theirs and assemble them in a variety of media to be shared, seen, heard, and experienced by others. It is precisely this distance in time and space that allows them to offer powerful narratives, some of which are still being written. This exhibition expands on the groundbreaking work by Dr Marianne Hirsch on postmemory, defined as “the relationship that the ‘generation after’ bears to the personal, collective, and cultural trauma of those who came before—to experiences they ‘remember’ only by means of the stories, images, and behaviors among which they grew up. But these experiences were transmitted to them so deeply and affectively as to seem to constitute memories in their own right ” (Marianne Hirsch, The Generation of Postmemory: Writing and Visual Culture After the Holocaust, 2012). Through their work, the artists presented in these galleries search, question, and reflect on the representation of truths related to ancestral and collective memory—ultimately attempting to make sense of and connect with their own pasts. The title of the exhibition is taken from the Hebrew idiom l’dor vador, typically translated as “from generation to generation,” meaning that one generation has a responsibility to educate the next. The exhibition follows themes suggested by the artworks themselves, and especially the type of memories used as material. Some of the works include media imagery that depict historical events such as the Vietnam War or the Civil Rights movement; others memorialize lives lost during the Holocaust and the Armenian genocide. Some artists incorporate personal and family narratives to their pieces, blending together collective and ancestral memory. A final selection presents works that look at the near-present from an imagined distant future. Pierre-François Galpin and Lily Siegel are the co-curators of this exhibition. Download the worksheet linked below to explore the idea of “inherited memory.” Then, answer the following discussion prompts. The top two boxes on the worksheet relate to memories that you have inherited. What types of memories have you inherited? What do they have in common? Do they relate to family stories? Culture? Overcoming challenges? Tragedy? How were these stories passed down to you? Orally? Using objects or photos? What helps you remember them? Why do you think these particular memories were passed on? How may they have impacted you or your life? Do you think these stories or memories have changed over time? If so, how? Do any of these inherited memories relate to historical events? If so, how do these personal stories differ from historical accounts? Now, consider the bottom two boxes on the worksheet. What memories of your own have you chosen to share with others? Why did you choose these memories to share? How did you share them? What are the differences between history and memory? How might a personal story impact our understandings of history? Do you think history is “fixed” or “objective”? How might historical accounts change based on who is telling the story? What ideas or events from the past impact you today? What is the relationship between the past and the present? How do we make meaning from the past? When you are learning about history, what helps you remember it? What role do objects, music, or photographs have in reminding us of the past? How do they shape our memories and understandings of times past? Do you think we have a responsibility to the memories we “inherit?” Can you think of a time that a story or memory you learned about influenced a decision you made? First, look at one or more of the artworks in From Generation to Generation, using the discussion questions below for further exploration. Then, view the video interviews with the artists to learn how their art explores their own relationships with inherited memories of past events. Binh Danh, Holding #2, from the Immortality: The Remnants of the Vietnam and American War series, 2009. Chlorophyll print and resin. Courtesy of the artist. 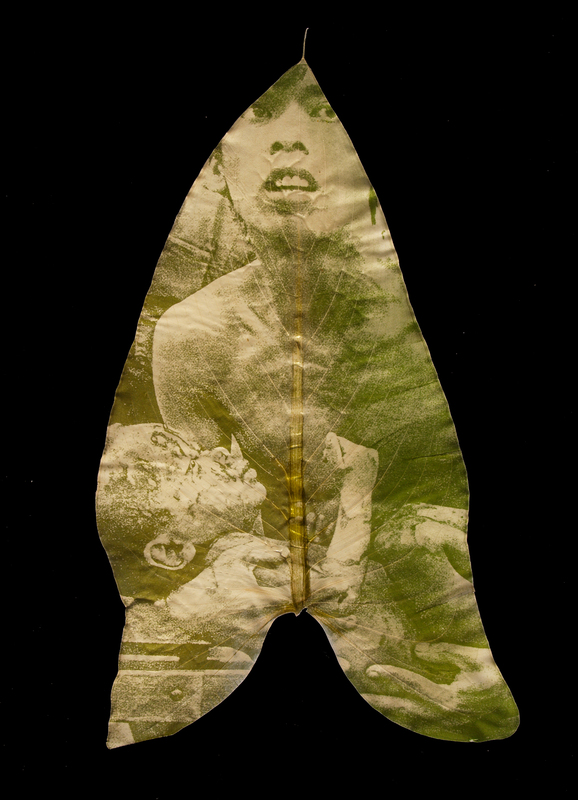 Artwork: Binh Danh, Holding #2, from the Immortality: The Remnants of the Vietnam and American War series, 2009. Chlorophyll print and resin. Courtesy of the artist. Video: Binh Danh on physical remnants of war, the lasting impact of war on nature, and media images and memory. Artwork: Yong Soon Min, Motherload (1996). Video: Yong Soon Min on her mother’s experiences in Korea, through the art of the bojagi, a traditional Korean wrapping technique. 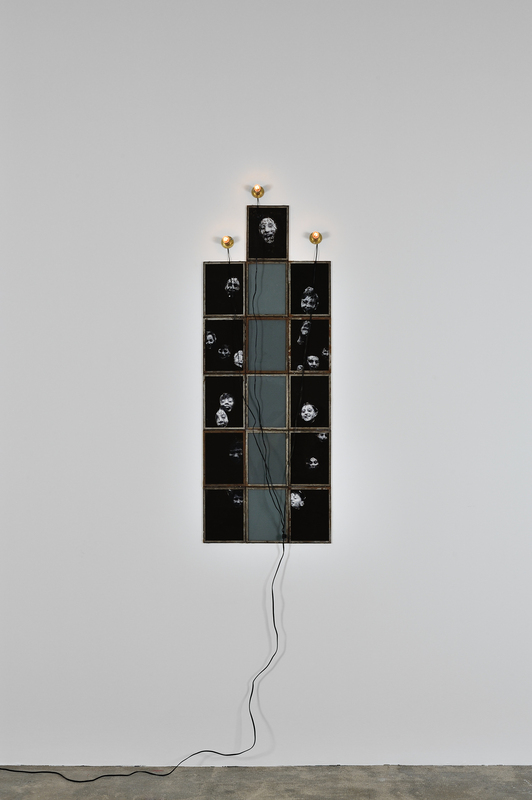 Artwork: Christian Boltanski, Scratch (2014). 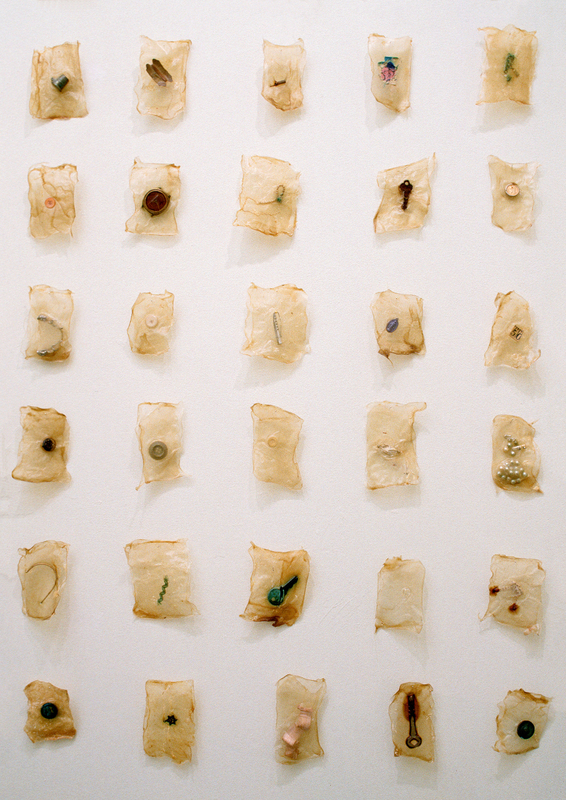 Artwork: Lisa Kokin, Inventory (1997). Video: Lisa Kokin on tiny objects, concentration camps, and collective post-memory of the Holocaust. Artwork: Hank Willis Thomas, What Goes Without Saying (2012). Video: Hank Willis Thomas on connecting the past and present, and cultivating active participation against injustice. What stands out to you about this artwork? What kind of story might the artist be telling? What aspects of history or memory can you find here? Does the artist seem to have a particular perspective or message? If so, what is it? What materials does the artist select to share this memory? Why do you think he/she chose these particular materials? What is the relationship between this artwork and the present moment? How might we interpret it in light of current events? Do a bit of research to see if you can identify the event or memory the artist is exploring. How does the artwork relate to this event? How does it impact your understanding of the historical event? Does the artist work with any primary source materials? If so, how does he/she use them in the artwork? “Historians use the materials of history (primary sources) to create an account of the past, but then use them to act in the present and the future.” (Bob Bain, Associate Professor, School of Education; Associate Professor, Department of History) If we consider these artworks a form of historical material, how might they inspire us to act today and in the future? After exploring the themes of history and memory as well as the works of art and artists in From Generation to Generation, use the following ideas to guide further exploration of these themes and ideas. Sensory experiences are very closely linked to memory. Often our memories are related to a particular smell, song, or texture. The artists in From Generation to Generation engage many of our senses in their artworks, working in sound, fabric, installation, video, and more. Put these sensory recollections together to create a five senses poem to share your memory. From Generation to Generation features artworks that highlight inherited or post-memories. How might these differ from first-hand testimonies about historical events? Explore various works of art created by second or third generation Holocaust survivors, such as Maus by Art Spiegelman or Scratch by Christian Boltanski. Then, listen to one or more of the online testimonies from Holocaust survivors (hidden children or concentration camp survivors), housed on the JFCS Holocaust Center’s website. How was the firsthand account different from the second-generation account? Did one depiction of the Holocaust resonate with you more than the other? Which one? Why? What historical event would you want to learn about through a first-person account? Who would you like to ask about a moment in history? How might you prepare to meet someone who is giving a firsthand testimony? What would you want to know in advance? Tours of From Generation to Generation are dialogue based, inviting students to observe, create interpretations, and make contemporary meaning from the works of art. Tour groups may add a hands-on art workshop to their experience. To book a tour, visit thecjm.org/tours, call 415.655.7857 or email tours@thecjm.org. Six special opportunities to hear firsthand accounts of Holocaust survivors, in conjunction with a tour of From Generation to Generation. Available through Feb 2017. Tours + Survivor Talks are a 2.5 hour experience and are available on select dates only. Presented in conjunction with the JFCS Holocaust Center. From Generation to Generation: Inherited Memory and Contemporary Art is organized by The Contemporary Jewish Museum, San Francisco. Lead sponsorship is provided by the Koret Foundation and Gaia Fund. Major sponsorship is provided by Dorothy R. Saxe and Wendy and Richard Yanowitch. Patron sponsorship is provided by Shana Nelson Middler and David Middler and by Anita and Ronald Wornick. Supporting sponsorship is provided in honor of Ellen Kahn. Additional support is provided by Rosanne and Al Levitt and an award from the National Endowment for the Arts. School and Teacher Programs are made possible by Pacific Gas and Electric Company. Leadership support comes from the Horace W. Goldsmith Foundation, with additional generous support from the Toole Family Charitable Foundation, the Ullendorff Memorial Foundation and Carol Swig. 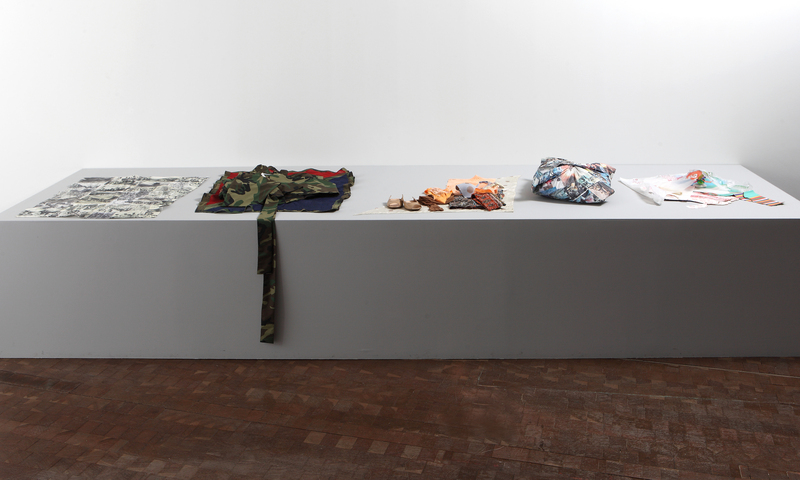 Header image: Installation image of From Generation to Generation: Inherited Memory and Contemporary Art, on view November 25, 2016–April 2, 2017 at The Contemporary Jewish Museum, San Francisco. Photo by JKA Photography.